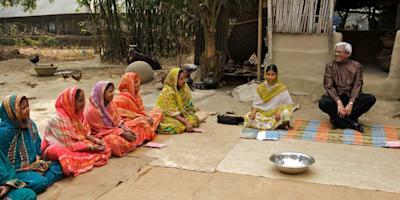 Katie Allen interviews Kamal Quadir, CEO of bKash, mobile money provider in Bangladesh. Q1: Many of us have heard of the M-Pesa phenomenon that achieved great success in East Africa, but bKash remains under the radar. How is BKash different from other mobile money providers? Kamal Quadir: In terms of customer experience, bKash is no different from a wallet offered by a telecomm like M-Pesa. However, there are big differences in regulatory perspective. In bKash’s case mobile operators provide the necessary connectivity pipes between user-owned handsets and servers of the financial service providers. bKash distinguishes by offering a model which is regulated by the central bank where the mobile network operator sells connectivity, unlike some other countries where such service is offered by mobile network operators. Q2 The latest publicly available data shows that by the end of 2013, just 30 months after launching, bKash accounted for more than 11 million of the total 13 million mobile money users in Bangladesh – What do you think have been the most crucial factors of your success? KQ: bKash had a single minded focus of providing financial service to the poor and unbanked population. For instance, it’s important to come up with a simple interface that can be accessed by the cheapest (i.e. $15) handset. An easy way out would have been to develop an application for smart phones, but then the service would be limited to only affluent customers and would defeat the purpose of reaching the unbanked and poor. We opted for USSD which allowed anybody to access the bKash platform by dialling an access code, regardless of the sophistication of the handset. Registering for bKash and cashing-in services are free of charge. For person-to-person (P2P) transfers, customers pay a flat fee of BDT 5 (or $.04) irrespective of the size of the transaction. In case a customer wants to cash-out, there is a flat fee of 1.85% on the amount withdrawn. For example, if a user wants to cash-out BDT 50, the cash-out fee is BDT 0.92 (or $.01). Q3: It has recently been said that to get the most value out of bKash customers would have to use bKash’s “wallet” function. This requires a level of (English) literacy and numeracy skills that the vast majority of Bangladesh’s low-income bKash users do not have. Are there any plans to translate this? KQ: Although very little English is required to use the service, people perceive that advanced English is required. bKash’s education programs seek to overcome this perception gap. In fact, the bKash menu is so easy to use that, once a user becomes familiar with the steps, s/he can opt for the required service by simply choosing a numerical input and not have to respond with any text reply. We have seen how semi-literate people have learnt how to use mobile phones, and even improvised by writing Bangla SMS using the Roman alphabet. Meanwhile, fundamentally, the only qualification needed to use bKash is confidence – the confidence to believe that one can take control of his/her financial decisions, save money, spend wisely and complete a transaction in a manner that has never been possible before. Old habits (like keeping money under a mattress, insecure transfers, paying high transfer fees, not being interested in being a part of financial inclusivity) need to be replaced by new habits (keeping money in a safe digital system, secure transfers, paying low fees, recognizing the importance of being part of financial inclusivity) to harness the full potential of the bKash service. Q3: Millions of low value business transactions take place every day in Bangladesh, especially in Dhaka, are there any plans to create financial products for these transactions? Or will clients need to continue to use agents? KQ: bKash has built its foundation by providing a basic money transfer service. We find most of the cash-in areas are commercial and industrial hubs where people come from far away districts in search of jobs. On the other side, cash-out regions are those which are far from the bustling commercial hubs, specifically the districts that are historically least developed in the country. Earlier these people used to send money home using informal systems through friends and families. Mobile money services like bKash have brought these transactions under a regulated system prescribed and monitored by the central bank. Users are also transacting with remote businesses, parents send fees to children studying in distant cities, the ultra-poor are receiving financial assistance from donors on time, and the applications go on. We have started piloting with microfinance and insurance services. Regarding use of agents in completing financial transactions we have to note that when typical bKash customers learn how to use bKash, they are often interacting with electronic financial system for the first time thus the natural apprehension towards technology comes in the equation. However, when our sales teams and agents interact with individuals and explain the importance of self-service, users gradually adopt the technology. Q4: What are the benefits of being associated with an NGO? KQ: bKash is a subsidiary of BRAC bank—an SME focused commercial bank founded by BRAC's Chairperson Sir Fazle Hasan Abed. 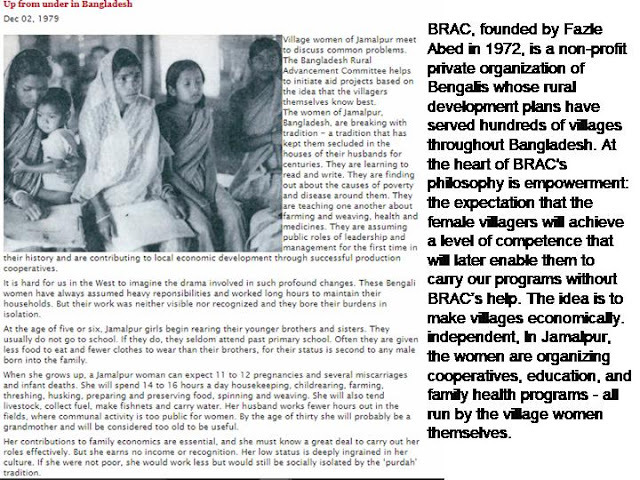 Besides maintaining the ethos of BRAC, there are tangible values of the association. For instance, bKash needed to create a physical distribution network of agents that reaches far into the rural areas. The microfinance division of BRAC NGO played a critical role in the early days as a distributor, and helped to recruit agents nationwide. Q5: How do you foster innovation at bKash? KQ: Since inception, any innovation bKash considered has always been customer centric while giving paramount importance to the safety of the depositors. At the same time bKash is keen to identify the pain point(s) the innovation tries to address, the innovation’s purpose and goals, and its strengths and weaknesses, so that we can shape it in ways that makes it sustainable. Q6: Where do you want bKash to be in 3 years? 5 years? KQ: bKash is a tool to address payment and money transfer efficiently. The poor, who have access to the ubiquitous mobile infrastructure, can now have access to this state-of-the-art technology to leapfrog into financial inclusivity. How people improvise when using the service is up to them. Somebody can come up with a unique ‘solar electricity’ service where a solar panel provider offers electricity supply in a remote village and asks the customer to pay through bKash. This way, the expensive and time consuming task of physically traveling miles to pay or collect bills is avoided. By eliminating this significant cost factor, operations would become more efficient, thus making the business case more viable for all. This arrangement can make great sense especially for people living in remote islands. So it all depends on how we use bKash or similar services, and I believe necessity will drive innovation.